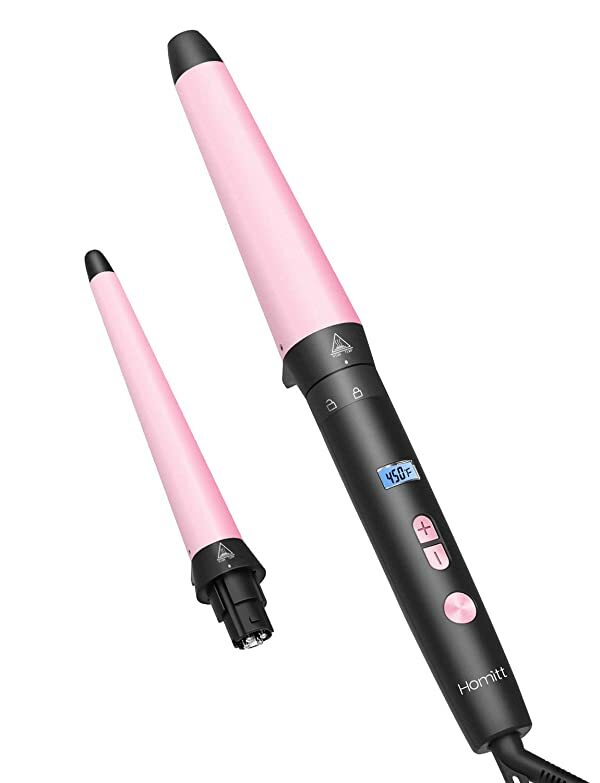 2 PIECES DETACHABLE BARRELS: Homitt curling wand is designed with 2 interchangeable pink ceramic barrels. You can spend less money and get an item that satisfies your multiple needs. The smooth barrel also promises that your hair would not be kinked and pulled. 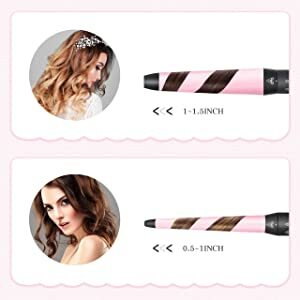 The curling iron is really a budget pick..
2 SIZES FOR MORE STYLES: The size of this hair wand is 1-1.5inch and 0.5-1inch .The bigger barrel can give you natural beach and loose waves, and the smaller one can create tight waves. You can choose which barrel to attach to the base. It's all depends on what look you want. ACCURATE TEMPERATURE: The highest temperature is 450?and the lowest is 240?. 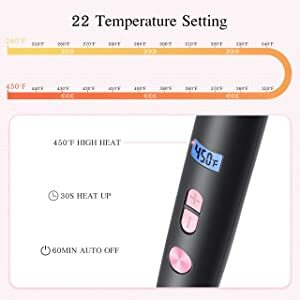 LCD display screen conveniently enables you to master the temperature you prefer. The button is well-placed so you don't accidentally change settings in the middle of styling. 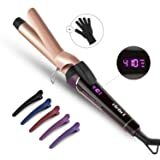 Adjustable heating settings for varying hair types..
60MIN AUTO SHUTOFF: Homitt curling wand set is designed with 60min automatic shutoff function. Sometimes you may forget to turn the wand curling iron off before leaving home. 30S HEAT UP: The barrel can heat up within 30S. The fast heating technology also saves your waiting time. 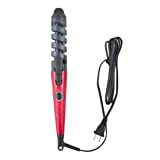 Curling iron set allows you to style your hair at a high temperature. 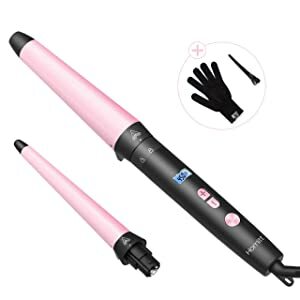 And please be advised that Homitt hair curler have 12 Months Warranty and 60 Days Money Back Guarantee..
With the right professional curling wand and a little practice, you can get gorgeous beachy waves with ease. 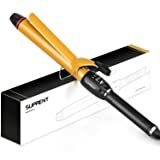 Plus, a high-quality curling iron will help you get a salon quality-style right at home. 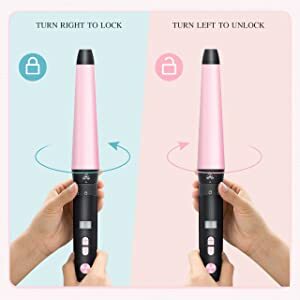 Beyond the great technologies, the curling iron is easy to use. It has a well-designed handle that’s comfortable to hold. The kickstand is perfectly balanced that keeps the barrel lifted sturdily on the countertop. It won’t roll and slide around perilously. 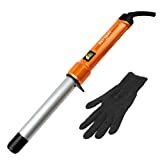 Homitt curling wands offers you a heat resistant glove and the cool tip at the end of the barrel protect your finger from being burnt by the high temperature. 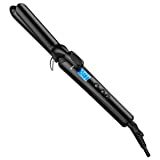 98.43inch long cord allows you plenty freedom for styling and 360-degree swivel feature will keep all that length from getting tangled. While waves are trending, don’t be afraid to be a trendsetter. Bouncy and voluminous can be styled through selecting different temperature for different hair types, making long-lasting results. 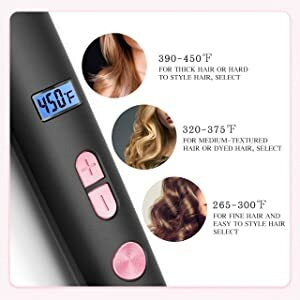 265-300?for thin hair, 320-375?for normal and dyeing hair, 390-430? for thick and damaged hair. 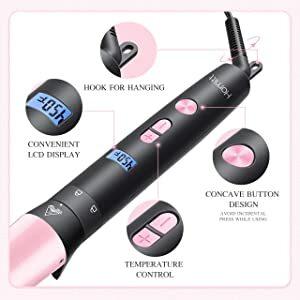 When you are enjoying a leisure vacation or getaway, you also want to keep looking gorgeous and then you should take Homitt portable hair wand with you. It is compatible with all voltages. Whether you are on business trip or vacation, always be shiny. For a better and satisfying using experience, we would like to send you our cares. 1. 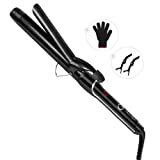 Please preheat the curl iron bar for 1 minutes after turning it on and let the hair stay for 5-10 seconds. 2. Please choose proper temperature mode according to your hair type. 3. Dry hair always prevails over wet one while doing curling. 4. Elastin and hair gel are great partner with curly hair for longer style.